Tulsi is a very powerful herb used in Hindu pujas. 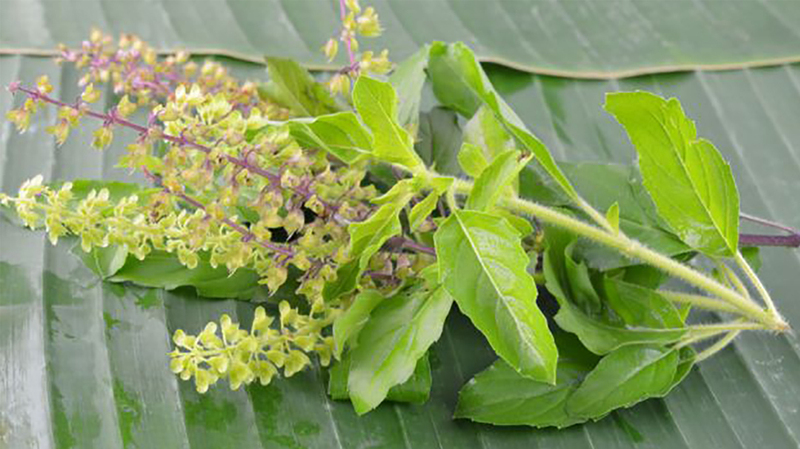 No puja to Lord Vishnu is deemed complete without offering Tulsi leaves. In every household we find a Tulsi plant watered and taken care with devotion. It is believed that poisonous insects and evil powers do not enter the precincts where Tulsi plant grows. Also, the very breeze of Tulsi plant can remove several diseases and send positive vibrations all around. 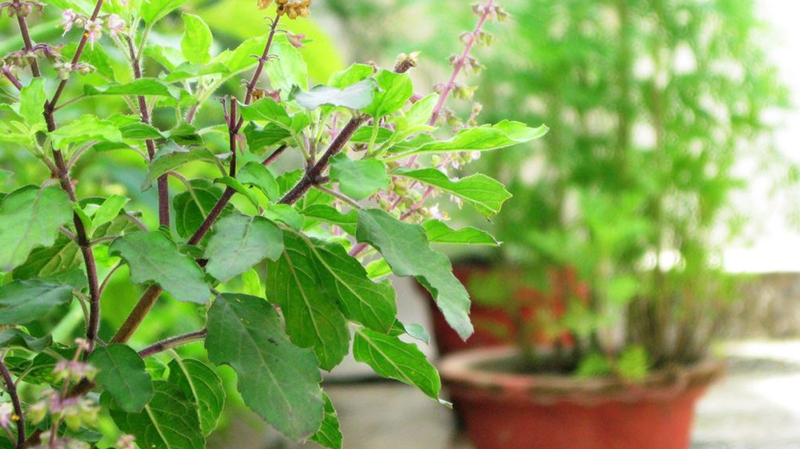 Tulsi is one of the biggest purifier of the atmospheric air.Tulsi puja is a famous ritual performed in every household. Many saints and sages even advise Tulsi puja daily. Tulsi puja is a very simple but highly beneficial puja. 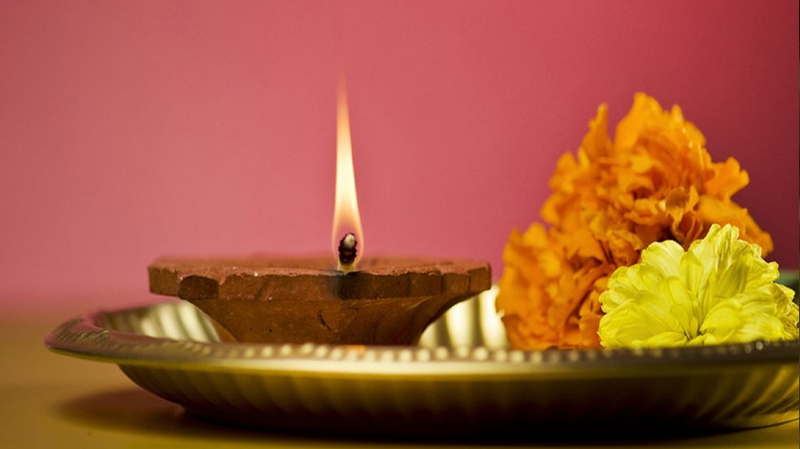 You just need three items to do Tulsi puja including incense, ghee lamp and flowers. In the morning take bath and clean the Tulsi plant with pot. Apply turmeric and vermilion on its stem and one of the leaves. You can wind a red colour cloth on the stem to decorate the plant. The pot is also decorated and further, the plant is decorated with flowers. 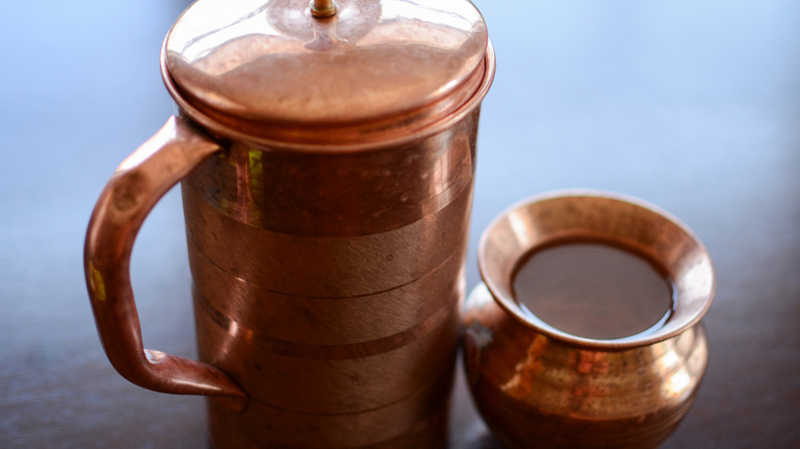 Fill a copper tumbler with pure water or Ganga Jal if available. Place a copper spoon into it. Place a spoonful of water in your right palm and chant ‘Aum Keshavaya Namah’ while sipping it. Repeat it two more times saying ‘Aum Narayanaya Namah’ and ‘Aum Madhavaya Namaha’. Light the incense and ring the bell with your left hand. Wave the incense sticks in a circular motion in front of the whole Tulsi plant seven times. 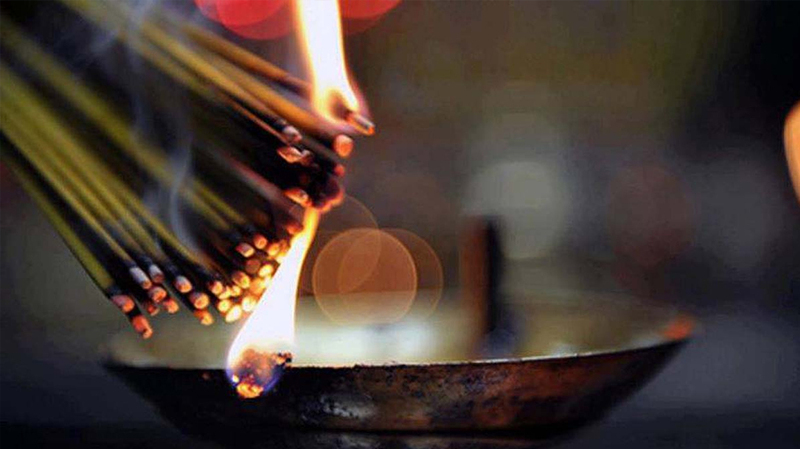 While offering incense, chant the following mantra. 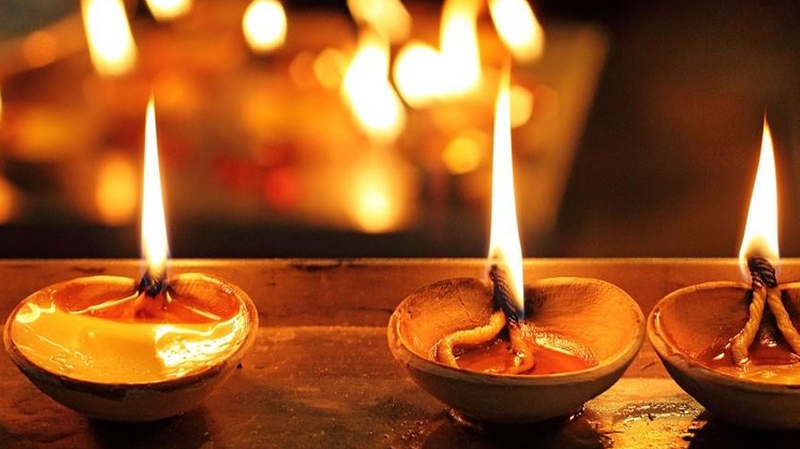 Light the ghee lamp. Ring the bell and wave the ghee lamp in front of the Tulsi plant. In circular motion wave four circles around the base, two circles around the middle part and three circles around the top part and seven circles around the whole plant. While waving the ghee lamp, chant the following mantra. 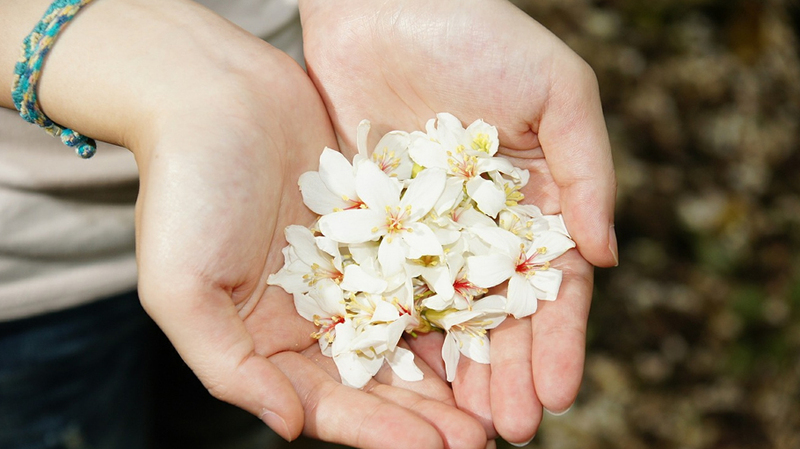 Mix colorful flowers and offer them one by one at the feet of Tulsi ma while chanting the following mantras. Do arati and then go four times around the Tulsi plant. During this process, every devotee attending the puja can pour a little water to the Tulsi plant. Water is offered to the plant only if the puja is performed in the morning. If the puja happens in the evening, this step is skipped. While everyone is doing pradakshina, chant the following mantra.